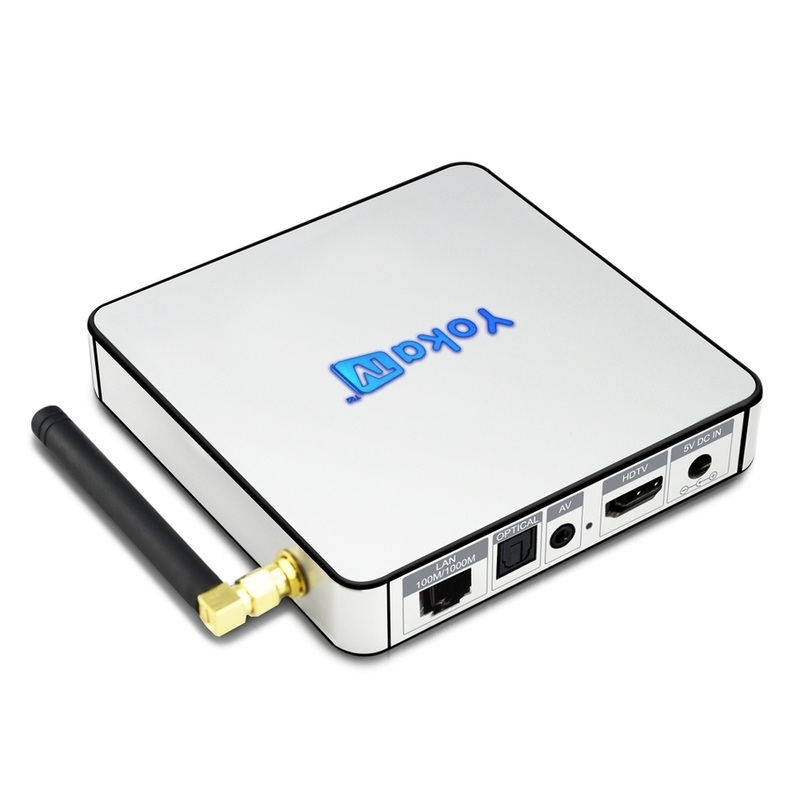 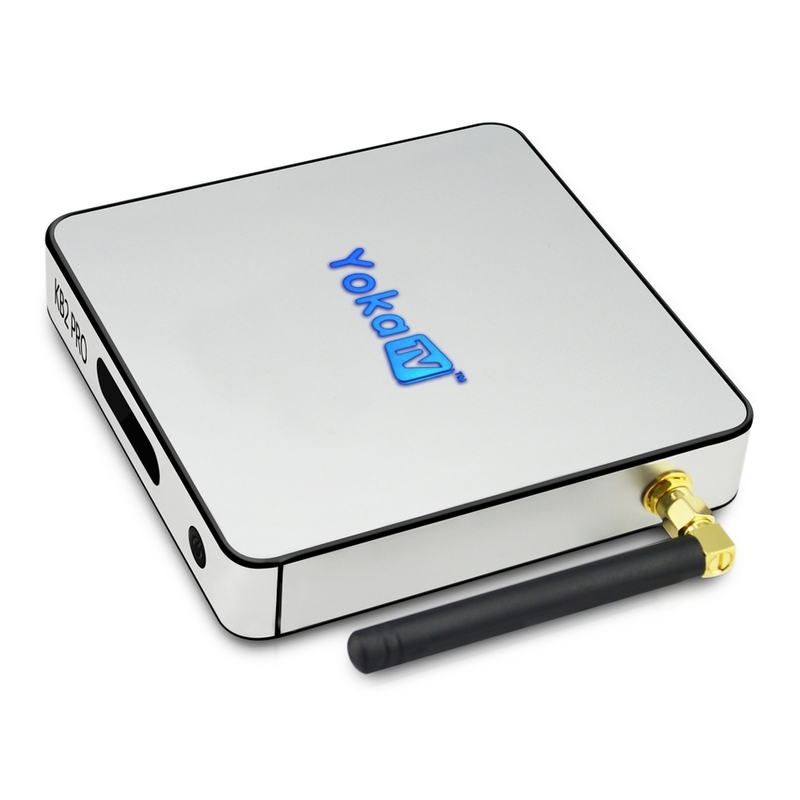 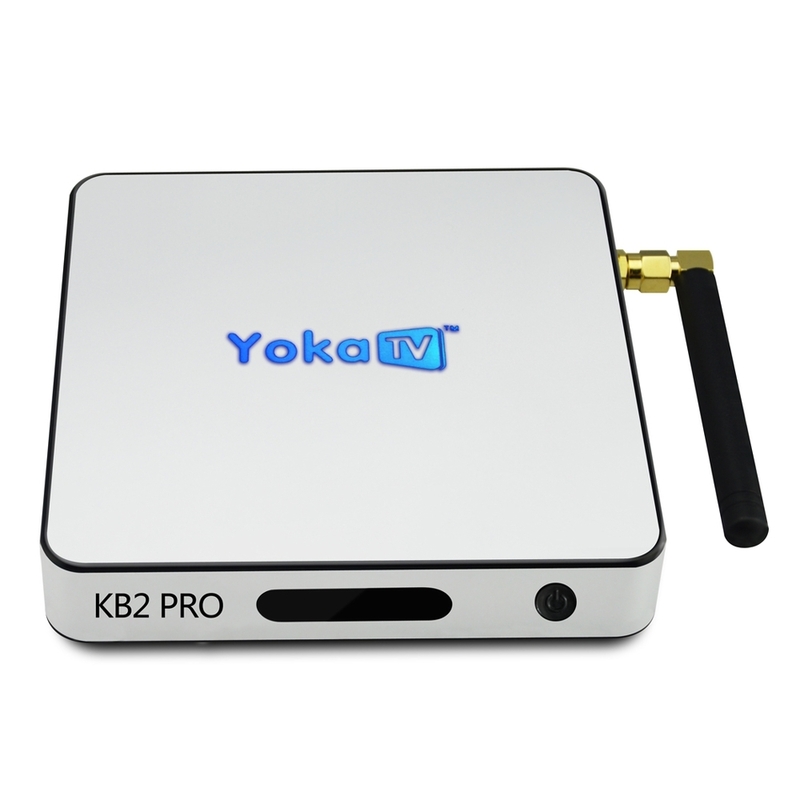 Хотите купить YOKA, KB2 PRO, 3GB, 32GB, TV BOX, Android 6.0, Octa Core, TV Box, Amlogic S912, BT 4.0, Streaming, Media Player, Smart TV Box, Set top Box, но не хотите разбираться с процессом покупки? 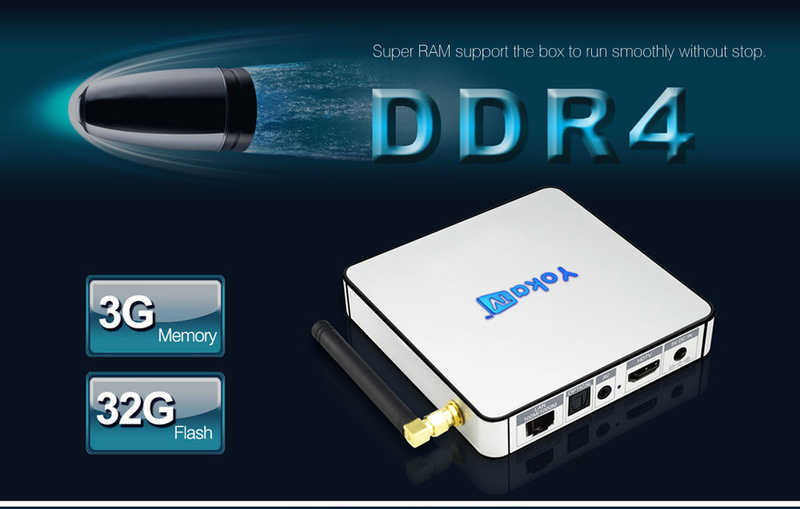 It is the first DDR4 model, YOKA KB2 PRO features 3GB DDR4 RAM, and 32GB eMMC ROM capacity, which supports the box running smoothly. 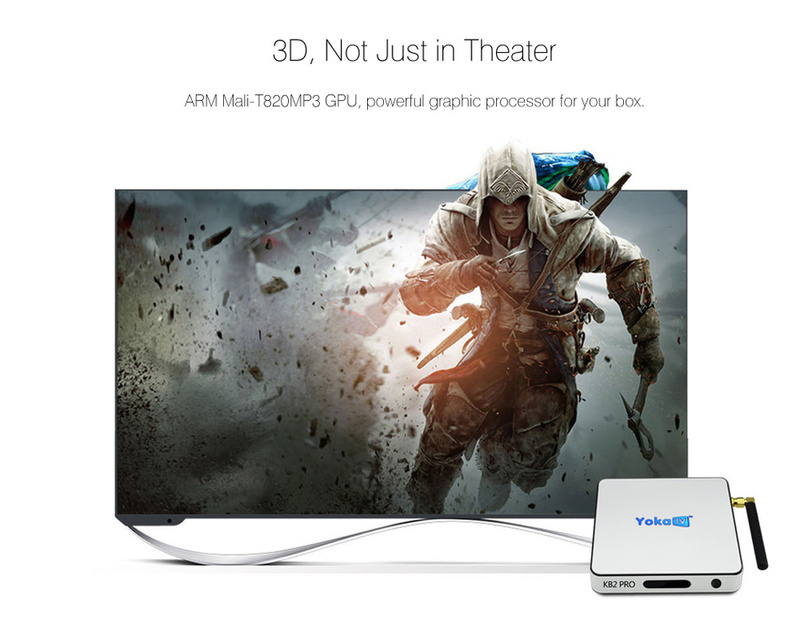 Additionally, it is absolutely the nice cherry on top for you, allowing you to download numerous add-ons, like Youtube, Netflix, Facebook, Twitter, Skype, etc. 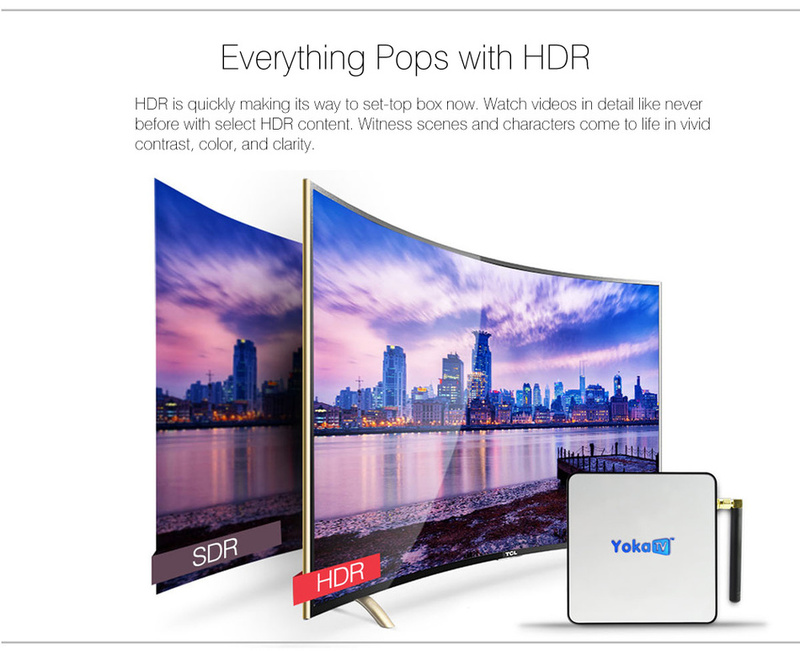 Just enjoy a new visual effect! 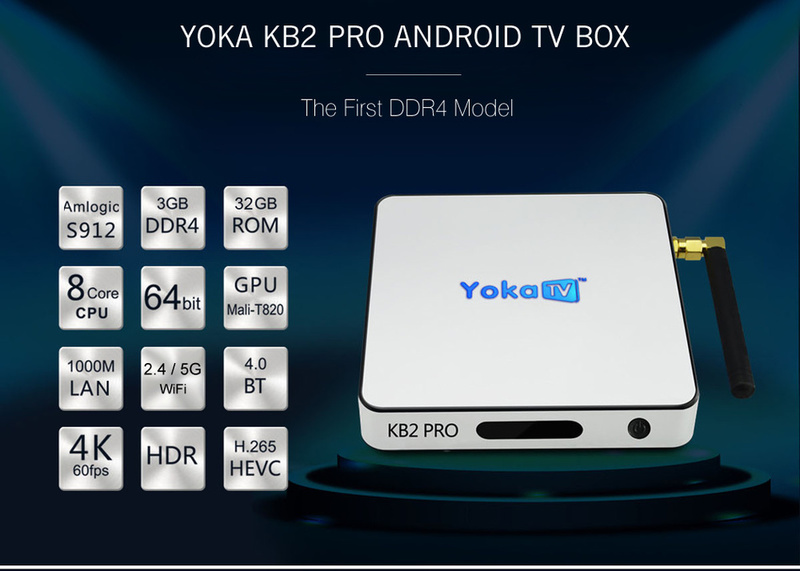 KB2 PRO comes with Amlogic S912 CPU, which is a high performance Octa-core 64bit chipset which is rapid and stable and gives you high-speed feedback and smooth response. 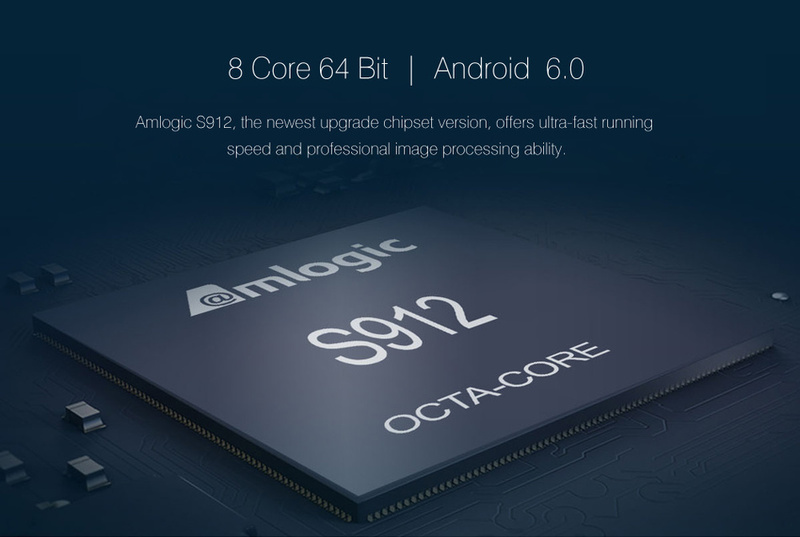 It boasts 3GB DDR4 RAM, and 32GB eMMC Flash, advantageous in performance, security and reliability, ascribing to the eMMC memory, ultimately delivering a richer end-user experience. 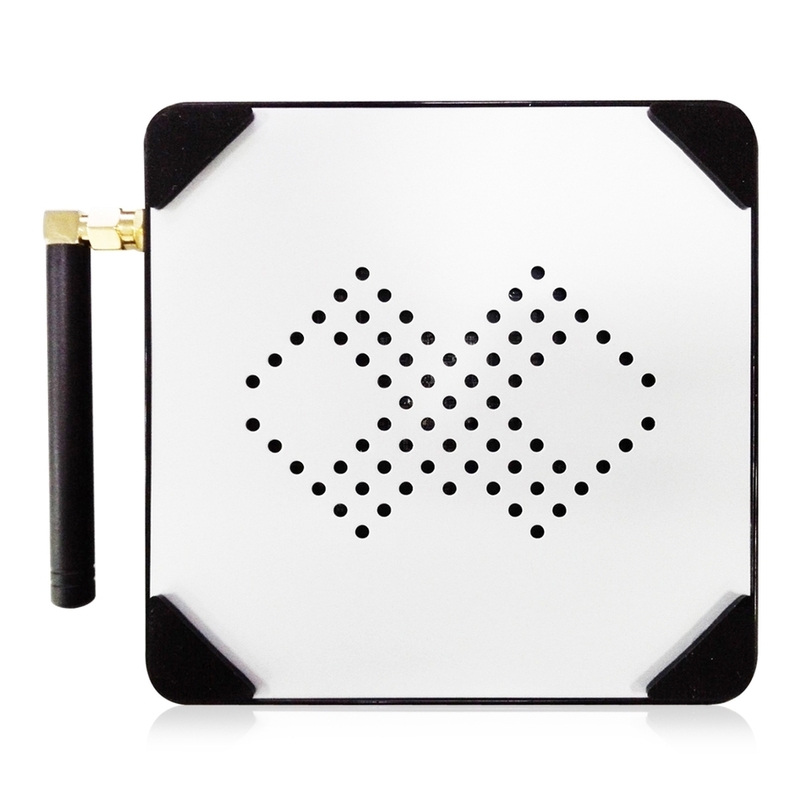 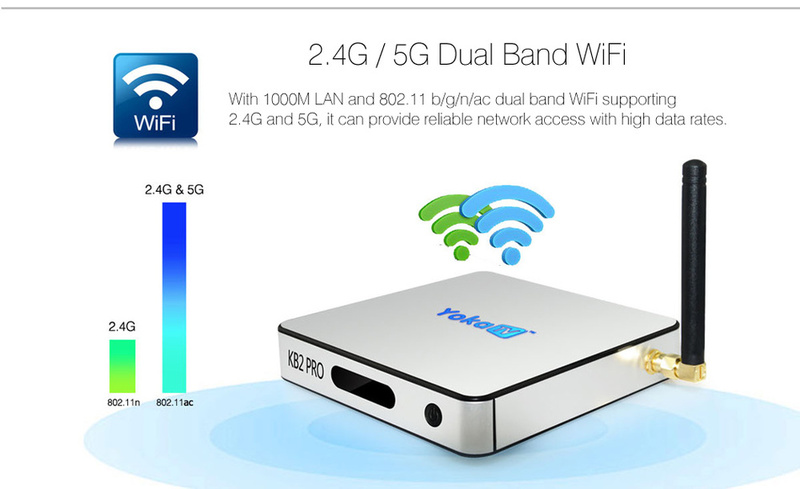 Dual-band AC WiFi ( 2.4GHz / 5GHz 802.11 b / g / n / ac ) with a great high-gain antenna, gives the best possible reception and transfer rates. 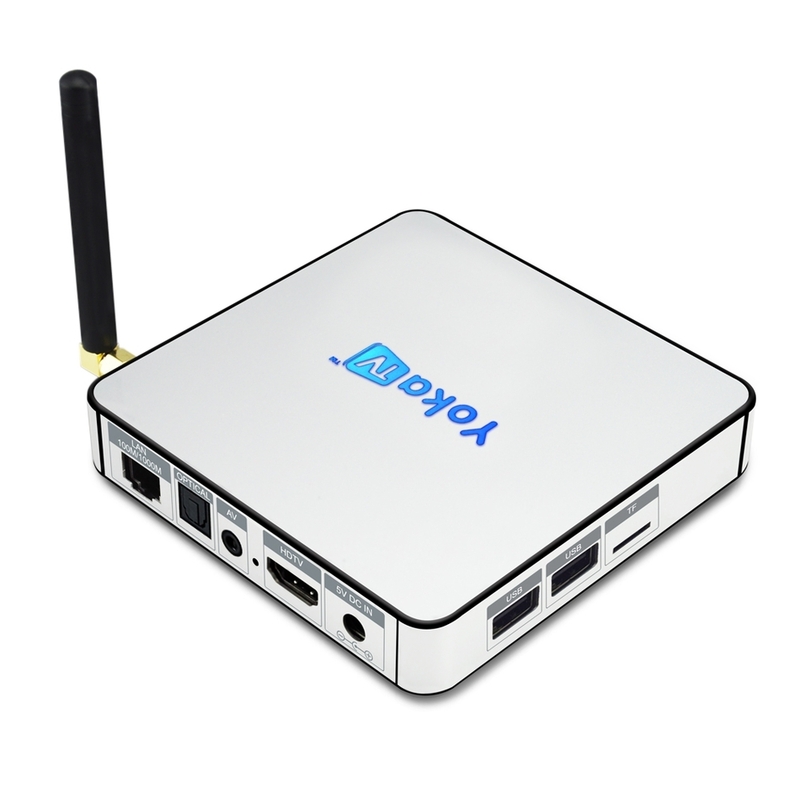 It runs on the 64bit Android 6.0, which is stable to use. 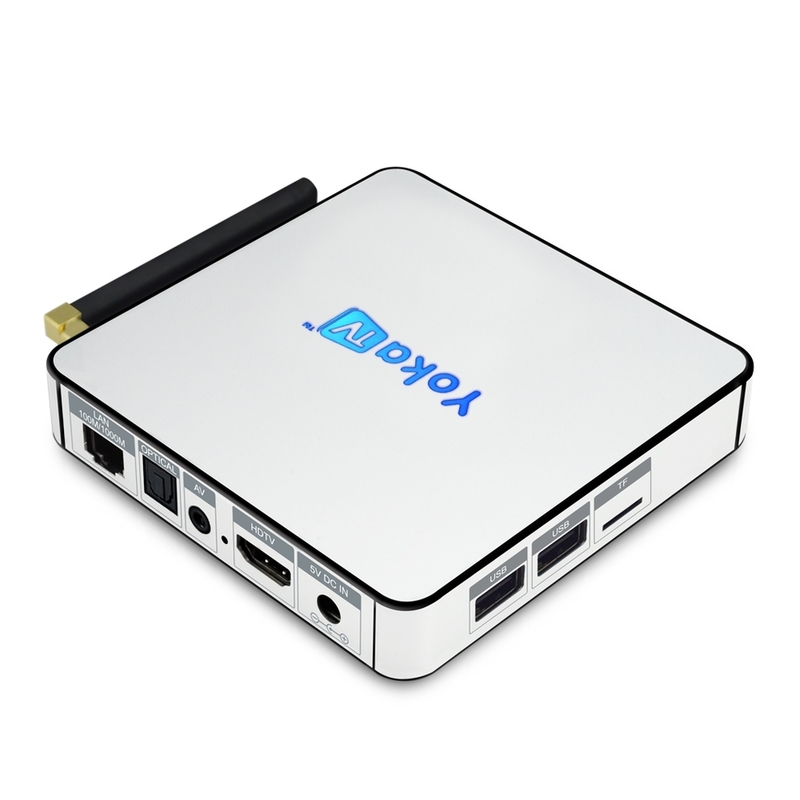 You can connect to a world of content and entertainment at home with the box. 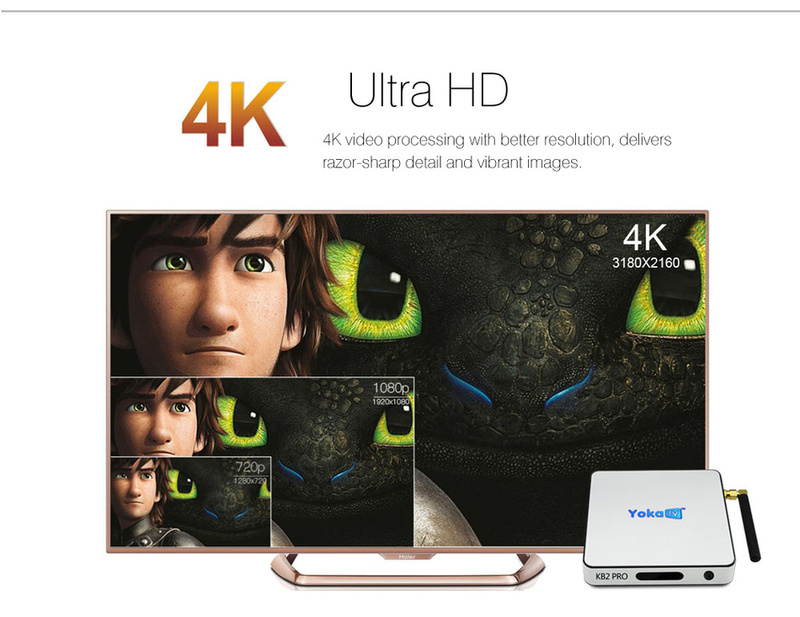 4K H.265 decoding can help you save 50 percent band-width resource, and deliver razor-sharp detail and vibrant images. 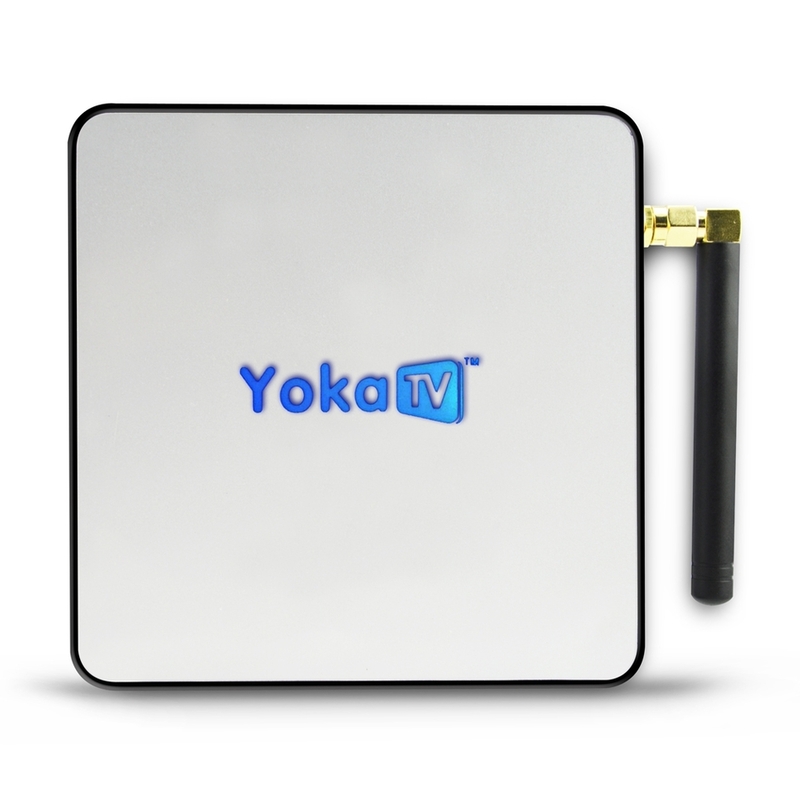 Metal bottom cover with vent holes enables to reduce the working temperature and keep the TV box working well.